Greg Alyn Carlson is sought in a 2017 sexual assault at a West Los Angeles home. The cross-country search for a fugitive wanted in an armed sexual assault of a woman in her West Los Angeles home and other assaults in Southern California came to an end Wednesday morning when he was shot and killed by federal agents at a North Carolina motel. Details about the operation that led to the shooting death of Greg Alyn Carlson, 46, were not immediately available, but the FBI confirmed he was shot and killed by agents who attempted to arrest him at the motel in Apex, North Carolina, just west of the state capital of Raleigh. The agents had been conducting surveillance at the motel after receiving a tip that Carlson might be there. 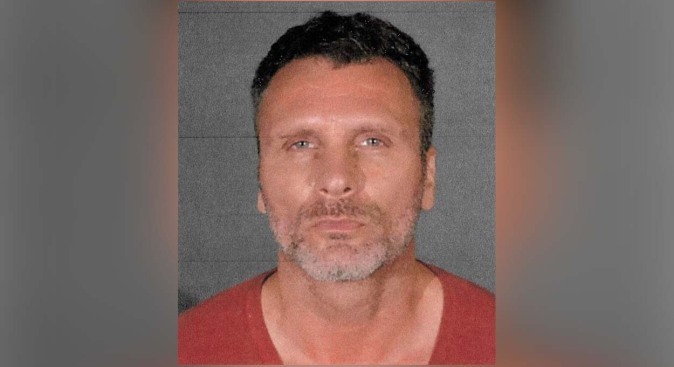 Carlson was on the FBI's Top-10 Most Wanted Fugitives list, accused of sexually assaulting a woman and striking her in the head with a gun during a July 13, 2017 burglary in West Los Angeles. Carlson also was sought in a September 2017 West LA assault and linked to two other assaults in 2003 by DNA. He was arrested by Los Angeles police in 2017, but was released on bond. The FBI released this photo of sexual assault suspect Greg Carlson and an example of the late model Hyundai accent sought in connection with the csae. Investigators said Carlson and the victims did not know each other. "There's been nothing in the investigations that led us to believe why he was specifically targeting these individuals," said LAPD Capt. William Hayes. "The victims didn't know him or hadn't seen him before." Hayes said it's possible investigators might develop a better picture of Carlson's crimes and flight after studying evidence found in the motel room. After posting bond, he fled to South Carolina, but likely left the state with a stolen handgun, rental car and large amount of cash, the FBI said. Agents said they're not sure how he obtained so much money, adding that he might have worked as an actor when he lived in Southern California. In November 2017, he was seen in Alabama, where he led police on a high-speed pursuit. Police called off the pursuit due to safety concerns. Investigators said he traveled to Florida and was seen in November 2017 in Daytona Beach. The FBI received a confirmed sighting of the suspect in the Mount Pleasant area of South Carolina, where he has ties. Authorities were searching for a late-model white Hyundai Accent -- the same car he was driving in previous sightings. He likely stole a license plate from another vehicle, investigators said. It was not immediately clear if he was still traveling in the car at the time of the motel shooting. Hundreds of tips led investigators to believe Carlson was still in the Southwest United States. He has also resided in the Southern California seaside communities of Santa Monica and Redondo Beach. The 2017 arrest marked the first time he had been arrested for a felony crime. Carlson was previously arrested for a misdemeanor in Beverly Hills. He might be behind additional sexual assaults, investigators said. A $100,000 reward was issued for information in the case.